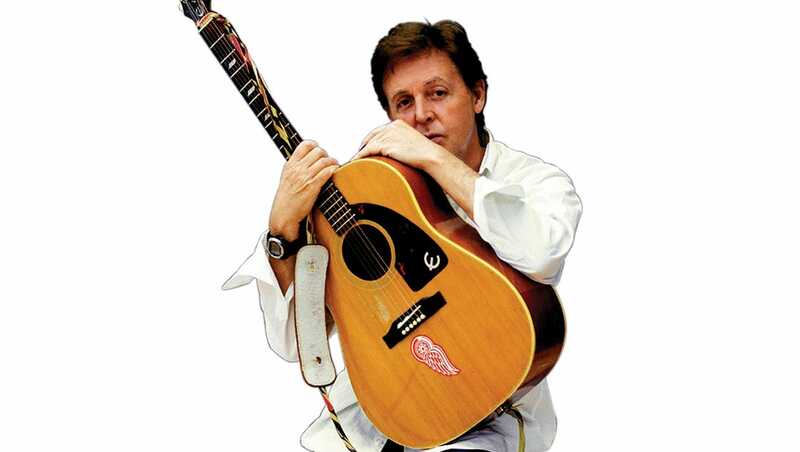 The Detroit Free Press looks in to the story behind Paul McCartney's famous Red Wings decal on his Epiphone Texan acoustic guitar, given to him by former EMU student, Mike Kudzia. The Epiphone Texan retailed for $200 in late 1964, was also manufactured at Gibson Guitar’s Kalamazoo factory. It's a pretty safe bet that ice hockey wasn't a big part of Paul McCartney's world growing up in Liverpool. But for decades, the superstar musician has carried a bit of the Detroit Red Wings with him around the world - thanks to the efforts of an audacious college kid who went years unaware of what he'd wrought.